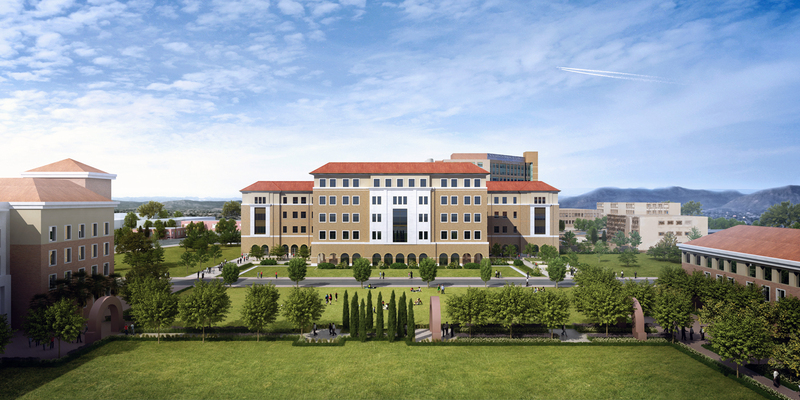 Rendering of the "Medical Sciences Building II" building that would house the new dental school alongside other departments and labs. Texas Tech University has asked the legislature to reappropriate $20 million of $50 million currently set aside for the School of Medicine at its Health Sciences Center in El Paso to establish a School of Dental Medicine there. Dr. Richard Lange is President of Tech’s Health Sciences Center in El Paso and Dean of its School of Medicine. He says Texas needs another dental school — even though it already has three. Lange says a new dental school could alleviate that West Texas disparity. Right now, the closest dental school to El Paso is 550 miles away. “What we know is that if you train in Texas, you’re likely to stay in Texas and 75 percent of the dentists who train, stay geographically close to where their training sites are,” Lange says. If everything goes as planned, Lange says, the first class of students at the new dental school could be admitted in 2021. Meanwhile, Texas Tech University continues to try to get legislators on board with a much higher profile push for a new veterinary school. Right now, the only veterinary school in the state is at Texas A&M University. Lange says he’s hopeful both of Tech’s efforts can get support.